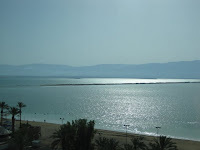 In Hebrew, the Dead Sea is called Yam ha-Melah, the "sea of salt." Now measurements show that the sea's salt has profound effects on the chemistry of the air above its surface. The atmosphere over the Dead Sea, researchers have found, is laden with oxidized mercury. Some of the highest levels of oxidized mercury ever observed outside the polar regions exist there. The results appear in a paper published on-line November 28th in the journal Nature Geoscience. In the research, funded by the National Science Foundation (NSF), scientist Daniel Obrist and colleagues at the Desert Research Institute in Reno, Nevada, and at Hebrew University in Israel measured several periods of extremely high atmospheric oxidized mercury. Mercury exists in the atmosphere in an elemental and in an oxidized state. It's emitted by various natural and human processes, and can be converted in the atmosphere between these forms. High levels of oxidized mercury are a concern, says Obrist, because this form is deposited quickly in the environment after its formation. Atmospheric mercury deposition is the main way mercury, a potent neurotoxin, finds its way into global ecosystems. After it's deposited, mercury can accumulate through the food chain where it may reach very high levels. "These levels are of major concern to humans," says Obrist, "especially in the consumption of mercury-laden fish." Fish caught in oceans are the main source of mercury intake in the U.S. population. Observations of high naturally-occurring oxidized mercury levels had been limited to the polar atmosphere. There, oxidized mercury is formed during a process called atmospheric mercury depletion events. During mercury depletions, elemental mercury is converted to oxidized mercury, which is then readily deposited on surfaces. These events may increase mercury loads to sensitive arctic environments by hundreds of tons of mercury each year. Now, Obrist says, "we've found near-complete depletion of elemental mercury--and formation of some of the highest oxidized mercury levels ever seen--above the Dead Sea, a place where temperatures reach 45 degrees Celsius." Such pronounced mercury depletion events were unexpected outside the frigid poles. High temperatures were thought to impede this chemical process. "Elemental mercury is somewhat resistant to oxidation, so it's been difficult to explain levels of oxidized mercury measured in the atmosphere outside polar regions," says Alex Pszenny, director of NSF's Atmospheric Chemistry Program, which funded the research. "These new results provide an explanation." The mechanisms involved in the conversion of mercury above the Dead Sea appear similar, however, to those in polar regions: both start with halogens. Halogens, or halogen elements, are non-metal elements such as fluorine, chlorine, bromine and iodine. 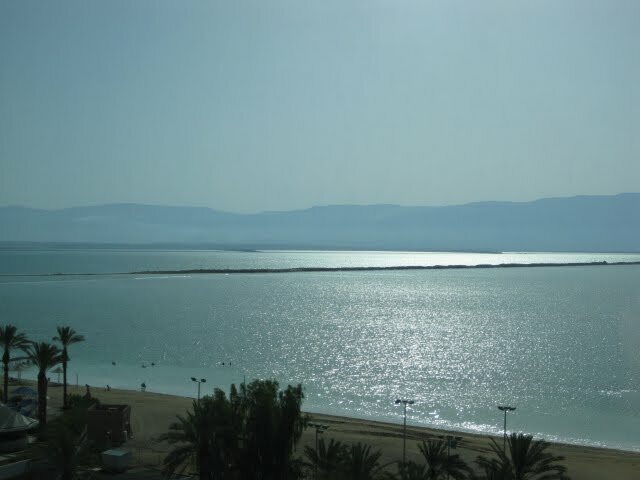 Observations and modeling results indicate that at the Dead Sea, the conversion of elemental mercury is driven by bromine. The new results show that bromine levels observed above oceans may be high enough to initiate mercury oxidation. "We discovered that bromine can oxidize mercury in the mid-latitude atmosphere," says Obrist, "far from the poles. That points to an important role of bromine-induced mercury oxidation in mercury deposition over the world's oceans." What goes into the ocean, he says, may eventually wind up in its fish. And in those who eat them. Obrist's co-authors are Xavier Fain of the Desert Research Institute and Eran Tas, Mordechai Peleg, David Asaf and Menachem Luria of Hebrew University.